Perfect slate for whiskey lovers with a fun slogan. 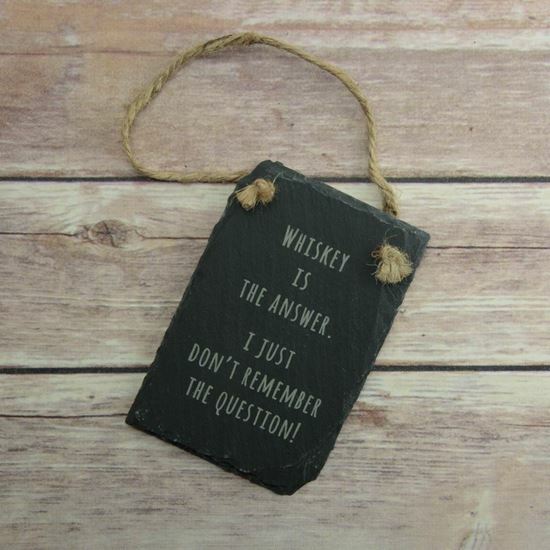 A rustic hanging sign which reads "Whiskey is the answer. I just can't remember the question". Perfect for Whiskey lovers, the sign is finished with a rope handle ready for you to hang it near your Whiskey supply!